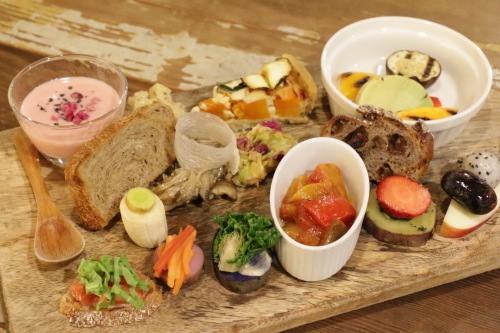 “L’atelier de maison de campagne + veganique,” a fully organic vegan cafe and restaurant in Jiyugaoka, opened on October 7, 2016. Thought not much time has passed, they already have a loyal following, and the numbers are clearly on the rise due to word-of-mouth, an exciting and colorful menu, and their unremitting focus on quality, taste and visual appeal. This is the final installment of our three-part series. In the first and second parts, we covered the owners’ commitment to their menu and ingredients. In this part, we asked owner/chef Mr. Yoshio Kato and wife Shinobu about how they came about being exposed to the macrobiotics movement, as well as the background to the restaurant opening. Click here for location and detailed information on the shop. 2 The impetus for opening a shop by myself: My feelings regarding restaurants. 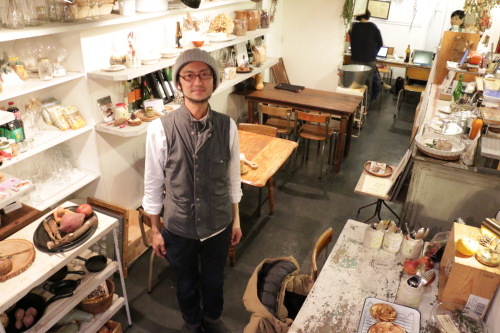 Owner Mr. Kato is a former Italian chef. It seemed to him that many things he prepared, including foods considered “fine dining,” were heavy. A turning point came for Mr. Kato when he began suffering from gout. Seeing her husband’s poor reaction to gout medication, his wife Shinobu began to wonder if there wasn’t a way to avoid gout attacks through diet instead of medicine. “I felt dizzy when I took medicine. My body just didn’t accept it. I had to do something about my diet, so I decided to try out a simple macrobiotic diet of brown rice and miso soup,” tells Mr. Kato. His wife, who had always been a meat eater, decided to join her husband in his macrobiotic endeavor. As Mr. Kato embraced macrobiotics and made changes to his daily diet, his physical condition improved more and more. Gout symptoms never arose again. As a matter of course, his diet became lower in fat, resulting in a weight loss of about 10 kg. Mr. Kato says, “I felt my physical body changing, and things were getting worse due to all the rich meals I was eating. When I think about it now, I feel the cause of gout was chemical seasonings. Now when I eat something containing chemical seasonings, I can feel my body reacting negatively.” The chemical seasonings reaction that Mr. Kato experiences are a tingling in the toes and sometimes also a phenomenon where the hair on his head stands on its ends! Mr. Kato is maintaining a sound physical condition by paying close attention to his body’s reaction to specific foods and also by just generally paying better attention to meals. He feels that “getting back to basics” may be awakening the simple food perceptions we were once able to gauge our personal nutrition by. The change has also impacted his wife Shinobu, who walked her husband’s road by his side, changing her meals in step. 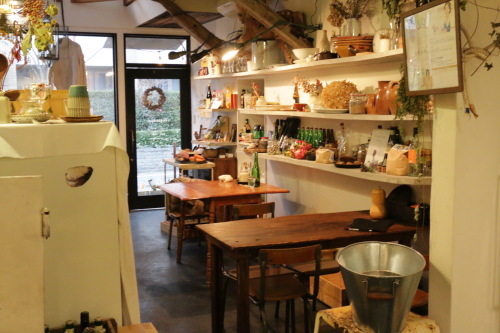 Many people who the owners have met through macrobiotics come to “L’atelier de maison de campagne + veganique”. Word of mouth from those people has in turn led to even more new customers. The impetus for opening a shop by myself: My feelings regarding restaurants. Mr. and Mrs. Kato embraced macrobiotic principles and in turn regained greater health. For this reason, they decided to open and manage a restaurant by themselves . Mr. Kato wanted to personally eat and also offer meals to others that supported the macrobiotic lifestyle. It is that drive that led him to decide to open his own shop. It was in Karuizawa that Mr. Kato first worked at a vegan restaurant. In the summer of 2016, he took on the responsibility of menu development and chef at the vegan restaurant “RK GARDEN.” With seasonal timing as it is, he came back to Tokyo after the Karuizawa restaurant closed for the winter. As coincidence would have it, he was just then invited to try his hand at a restaurant right where their Jiyugaoka restaurant is now. In October of that same year, “L’atelier de maison de campagne + veganique”was opened. It’s been exactly a year, and while there have been some rocky periods, things have worked out as they hoped. It was just before the opening that Mr. Kato decided to become the owner-chef of “L’atelier de maison de campagne + veganique”. That gave him only about one month of preparation time. However, his connections from Karuizawa were useful for purchasing ingredients. He was able to connect with the proper vendors and set things up in time for the opening. I asked Mr. Kato how he sees his restaurant in the future, to which he answered, “I’d like to continue growing, setting up restaurants all over the world.” Mr. Kato says it’s a dream to deliver their meals to the world, even to the universe. It’s fun to talk about dreams like this over a couple of drinks, isn’t it? Continuing with this, Mrs. Kato says, “I don’t want to only aim for macrobiotic or vegan customers. I am most interested in creating menus that satisfy even those who are generally meat eaters. At L’atelier de maison de campagne + veganique, I also received a request to provide for a family’s anniversary course, and happily consulted about what would be the best menu.” For that matter, why not indulge in a great vegan meal in a nice space for your next special occasion? 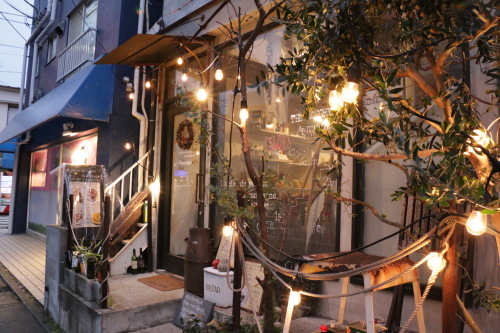 ” L’atelier de maison de campagne + veganique” is a restaurant where you can enjoy delicious dishes that are healthy too. It’s also a place where the warm personality of Katos pleasantly oozes out to welcome you. One visit and you are sure to become a fan. Click here for location and detailed shop information.